For small businesses, creating secure ID cards can be cost-prohibitive. Not any more. 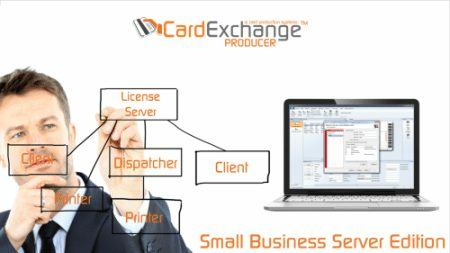 CardExchange Small Business Server is the perfect option for quick and easy card production and encoding. 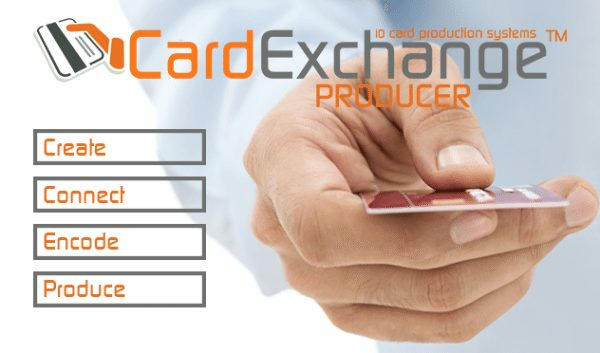 CardExchange Producer gives you the power to create professional, custom ID cards in minutes. 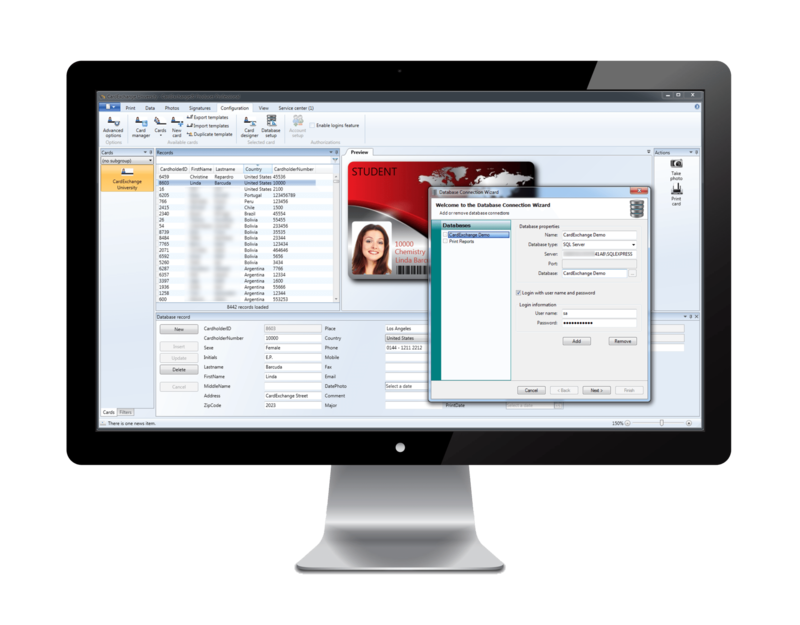 Use a preloaded card design and the card wizard or pull information from your database using drag and drop fields – you can even assign user permissions to allow team members access to the ID creation and encoding software. CardExchange gives you the power to create the employee, volunteer or visitor ID badges your organization needs – at a fraction of the cost. Natie Connections: MS SQL, MySQL, Oracle, DB2, etc. CardExchange™ Producer Small Business Server stores all your card layouts, database connections, and printer settings in one location making them available for all your users. No need to have multiple copies at every location. With a click of a button your users can see up-to-the-minute cards created and ensure a streamlined use companywide. Changes and additions can be made easily available from one location. With centralized data you can rest easy knowing everything you create is protected with your normal backup schedule. No extra effort is needed. Whether you print to a local computer or you print to a farm of printers at one central location, CardExchange™ Producer Small Business Server gives you control of your print jobs. Users can print to a local computer with ease direct from their CardExchange™ Producer program. Large print jobs with multiple printers are simplified with use of our CardExchange™ Print Dispatcher which enables you to manage multiple printers from one location; create load balancing of print jobs; redirect print jobs if there is a printer problem to another printer; confirmation of completed print job; encoding card management; and more. No more slowing down your system with large print jobs, CardExchange™ Print Dispatcher pools and manages all the print jobs in one location freeing up your programs to move to the next task. CardExchange™ Producer Small Business Server allows for a designated Administrator to control what each user can see and do. You can control permissions of groups or individual users from one central location. Controlling user groups allow you to set policies for specific departments, locations, regions; controlling individual users allow you to set policies that are unique to that users function in the card printing process. 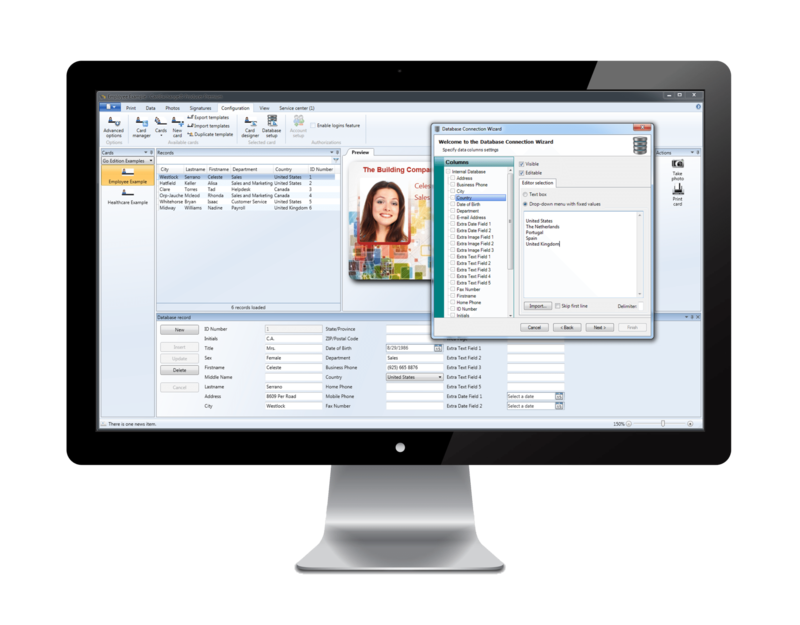 Administrators can make a customized interface for each user and department and further simplifying the card production process and management.